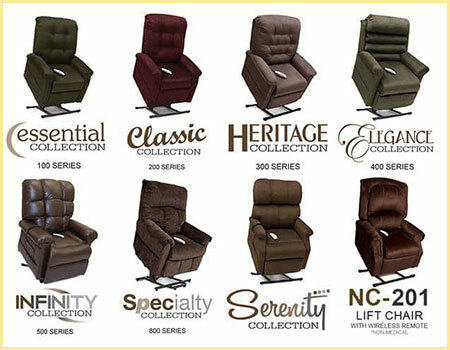 Unity Medical offers a large selection of lift chairs with many styles, colors, and fabrics available. We give all customers who purchase with us a free 1 year warranty on service calls and labor. This is above the manufacture parts warranty. 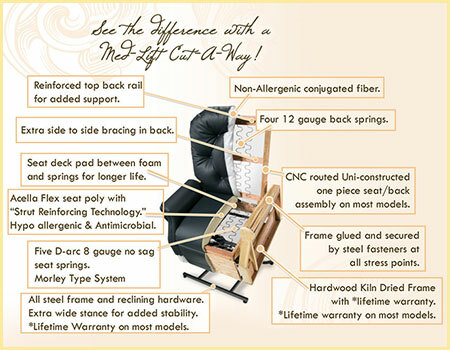 Lift chairs starting at $699.00.